Do you have trouble finding sweet treats that are allergy-friendly (especially nut-free) to send in your child’s lunch and/or for holiday celebrations at school?!? Hello, Back to School Balls!!! These balls are nut-free, dairy-free, gluten-free, soy-free, and can easily be made vegan! And, they actually taste delicous and are completely kid and toddler approved (by my kiddos and many others who have tried them!). 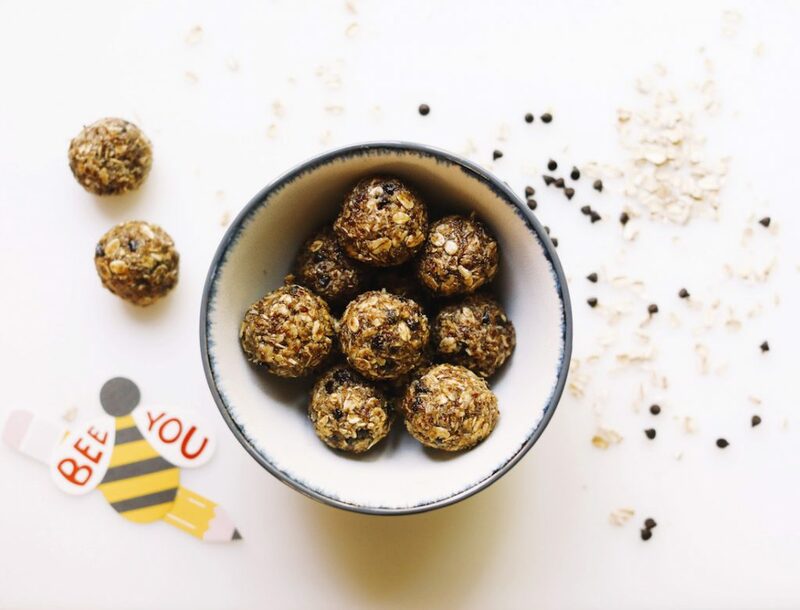 Hope you’ll give my simple and yummy Back to School Balls a try and let me know what you think! Also, don’t forget to tag me in all of your foodie creations at @livlight_ and #livlight. Mix all ingredients in a large bowl until thoroughly combined. Refriderate mixture for 20 minutes. Roll into bite-sized balls and place on a parchment-lined baking sheet. Freeze for one hour, remove from sheet, place in a glasslock container with a lid, and store in the freezer for up to three months. Best if eaten after few minutes out of the freezer, but will also hold up in school lunches!